Snuggled on a private beach, the island of Ischia’s 128-room Hotel Regina Isabella combines Italian chic with traditional and updated mid-century classic styles and acres of shiny, decorative tile floors that are the hallmark of the Naples region, the Regina Isabella has welcomed Hollywood and world glitterati from the day of its opening in 1956. 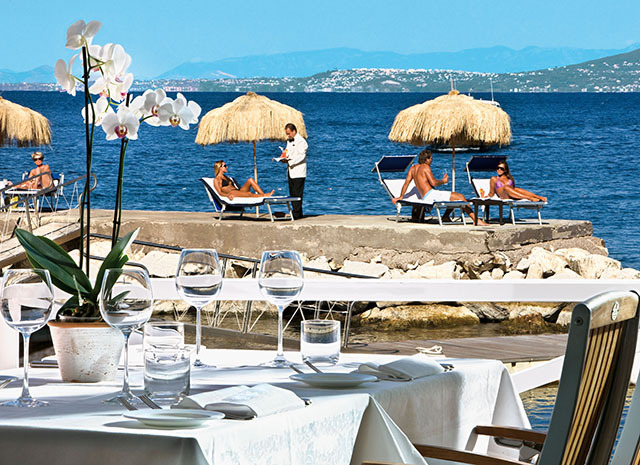 The hotel’s three restaurants – including the Michelin-starred Indaco – lead to sun-bathing jetties thrust into the Mediterranean. The hotel is attached to the Terme della Regina Isabella spa whose healing waters were first tapped by the Romans.